David Blunkett says there are 200,000 Roma here already - with a fair number in Sheffield. The local Asian population are mounting 'counselling' patrols to teach them not to defaecate in the street or steal the street furniture. If Blunkett is trying to recapture votes for Labour - the same labour that opened the gates wide in the first place, and changed the face of Britain for ever - he's as much of an incompetent and ignorant fantasist now as he was in office. Many of Sheffield's Asians must now be contemplating voting for UKIP next May. And if tens of thousands of new migrants from eastern Europe arrive next Spring, each one will gift UKIP at least another vote. "Romanian burglar gangs (grandfather, grandmother, father, mother and children) currently drive around the area. The papers say their poverty must be understood if one is broken into. I wonder therefore if I should leave the door open so they don't have to work too hard. If I am robbed I have nothing to offer here. Bid now and act before the Romanians do." The problem with Japan isn't fiscal. The problem with Japan is that Japanese men just aren't making Japanese women pregnant, and with barriers against both 'inter racial' breeding and immigration the population is not only in steep decline but is headed for extinction. No fiscal measures, however bold, can solve Japan's problem. Whilst the prospect of the Japanese people being wiped from the face of the Earth may cheer their old victims a bit, it does underline just how much comes down to population. Before the start of the Great War, a representative group of ten Britons would have had six adults and four children. Now it would have eight adults and two children. We are living longer and having smaller families. And as the NHS champions 'healthy' living it's also storing up future costs; having eliminated many external causes of morbidity, if we all also lost weight and stopped smoking and drinking we'd bankrupt the Treasury in twenty years, even if we saved it money next year. There are only two routes out of this. Import younger people who bear above average numbers of children to be future taxpayers, or correct the population balance. Only a lethal pandemic that strikes hard at anyone over 60 will effect the latter. With the highest population density in Europe, we've all but exhausted the potential for the former. Without one or the other, the NHS in its present form simply can't continue. Will Chilcot publish the evidence to hang Blair? Sir John Chilcot has found the guilty men and is ready to publish. He himself has seen all the evidence, and it looks like enough to hang Tony Blair - or more realistically, see him in the dock at the Hague. However an impasse has developed; the Cabinet Secretary, as Chief Convenor of that trade union that offers mutual protection to the heart of the political class, refuses to allow Chilcot to publish the evidence. Chilcot, to his credit, is displaying the tenacity of a terrier with a rat on this and isn't giving way to the Tsunami power of the mandarinate. Heywood is inventive in his reasons for with-holding consent, all of them spurious and all falling on detailed assault. Blair, observing the process, not knowing when the Hague court may issue a secret and sealed indictment against him until the police squad bundles him into a van for the trip across the Channel, must be incontinent with anticipation. We've waited ten years. We can wait a while longer. Erich Priebke was the SS officer responsible for the execution of 335 Italian hostages in the Fosse Ardeatine. He was later charged with five murders. Three hundred and thirty hostages were lawfully shot in retaliation for an attack on German soldiers in which thirty-three had died; Hitler ordered a 10:1 ratio for retaliation. Until 1949, and the IVth version of the Geneva Convention, the shooting of hostages in certain circumstances by occupying armies was perfectly legal. An invaded civilian population was expected to be compliant to the rule of the invaders; the convention allowed the collective punishment of the population for infractions. And so Priebke was guilty only for the five additional victims of the Ardeatine massacre that he added himself. The 1949 Geneva convention that the UK signed up to (but the US didn't) made any future Dambusters crews war criminals (attacking dams a war crime under Articles 56 and 53 of Protocol 1) and indeed made 'Bomber' Harris' entire city bombing campaign illegal for the future, and every member of the RAF's WWII bomber crews potential war criminals (Articles 51 and 54; attacks on civilian targets). It also gave the rights of combatant soldiers to guerillas - including the right to protection if rendered hors de combat on the battlefield. Of course, before the 20th century the individual lives of war's victims, civilian or military, were accorded far less importance. There's a fine piece in the Indie this morning by John Lichfield that catalogues how the CWGC changed everything after the Great War; the dead of Waterloo were used to provide replacement teeth, and after to fertilise the fields of the Midlands. Today the footways of Royal Wootton Bassett are five-deep in respectful mourners as each flag-draped service coffin passes through. Following the debate on the issues surrounding the Ardeatine massacre - were the killers of the German soldiers terrorists or freedom fighters? - István Deák wrote that although "armed resistance during World War II was romanticized because the Nazis were such an appalling enemy, and because in that war the guerrillas' targets were still mainly soldiers", it is increasingly hard to draw the line between freedom fighting and terrorism. In his opinion, the Hague Conventions regulating irregular warfare has been "more a failure than success." "What is needed," Deák stresses, "is a recognition of reality, namely that future wars will increasingly consist of civilians shooting at soldiers from hiding and frightened soldiers killing innocent civilians. And what is needed, in the aftermath of such a sobering recognition, is an attempt to create a new international law for the more efficient regulation of this type of horrible warfare." 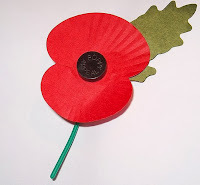 TV presenter and self-styled 'historian' Dan Snow, whose goggle-box rise to presenter stardom surely owes nothing to his more famous C4 newsreader father, thinks religion should play no part in our annual act of remembrance at the Cenotaph, or in hundreds of other, local acts of remembrance. This morning we will see the Bishop of London process with the head of the Catholic church in England, the Chief Rabbi, the convenor of the Church of Scotland, the president of the Methodists, the Chief Imam and so on. He will say a few very Anglican words that will have none of the other clerics storming off in a hissy-fit of doctrinal difference. A song of the hymn variety will be sung and even the non-Christians will mouth the words along with everyone else. What young Mr Snow fails to twig either from ignorance or lack of learning is that this is the British way of inclusive compromise; his own suggestion to ban it all is the sectarian, bigoted and divisive one, distinctly un-British and unknown to our caucus of public ceremonial. Already in some planning office in Whitehall you can be sure they are discussing dropping the Convenor of the Wee Wee Frees (down to just 76 members after the latest schism) and inviting the National Secretary of the Secular Society in his place. Unlike either the Germans or the Americans, who use particular religious symbols on the national gravemarkers of their war dead, our CWGC headstones are as inclusive as one could wish, covering Christians (nominally the vast majority) Jews, Hindus, Moslems, Daoists, African polytheists and yes, even atheists with equal honour.